In the early 1970s, banks like Salomon Brothers, Lehman Brothers and Merrill Lynch launched their bond indices and over the years investors came to rely heavily on them as the basis for their performance measurement. In the following decades there were a number of key events that helped to shape the fixed income index arena as we now know it – the arrival of the Euro, the development of the ETF market and the financial crisis to name a few. Those changes were spread out over many years but today the industry is facing a whirlwind of new market catalysts, each of which is contributing to a changing index landscape. Not least of these are new regulatory requirements, a shuffling deck of index providers, and the fact that the indices are now being deployed for an expanding set of uses influenced by the growing trend toward passive investing. In 2013, The International Organization of Securities Commissions (IOSCO) introduced a set of principles for benchmarks used in financial markets. It covered areas such as governance, accountability, quality and transparency. But the regulation of indices took on a whole new dimension at the beginning of this year as the new EU Benchmark Regulation (EU BMR) went into effect. Until recently it was unclear if some of the most popular indices produced by non-EU index providers would qualify for use in the EU come January 1. We now have confirmation that they can continue to be used during a two year transitional provision but there are still many unknowns about how the actual registration process for indices will work and that is a concern shared by investors. Many investors do see clear benefits resulting from the arrival of index regulatory oversight. One key benefit cited during the session is the fact that asset managers can expect certain common standards for governance across all of the indices they use. Even the largest, well-established index providers found ways to improve their overall governance practices in the aftermath of IOSCO. There is also greater transparency in the index methodologies and content, which makes life easier for those whose performance is measured against the indices. In addition to IOSCO and EU BMR, MAR 8 regulation in the UK provides rules for benchmark providers to adhere to. In the US, the SEC now requires that indices used by ETFs adhere to continuous listing standards. In the past, the underlying index only had to meet the compliance test at the time of original launch and now that is an ongoing requirement leading to additional compliance costs and obligations. While these rules only apply to indices listed in the U.S., European ETF issuers are mindful of what the future may hold for them. One clear side effect of the new regulatory environment has been the exodus of the banks from the ranks of the leading fixed income index providers. Though various corporate mergers over the years had led to multiple changes in ownership, the field of fixed income index provisioning had remained the province of the investment banks. Then the Barclays indices were sold to Bloomberg and soon thereafter, within a week of each other, the Citi indices were sold to London Stock Exchange and the Bank of America indices went to Intercontinental Exchange. These three asset sales reflected the banks’ strategic decision to divest from the index business and to take advantage of the opportunity to shed these non-core assets at a time when they were highly valued. Investors seem to be cautiously optimistic with respect to the turnover in ownership, and on the whole they seem to feel that index provisioning is better supported by market structure providers and data services firms. Indices are no longer just used for performance measurement; they now cover the entire scope of the investment process right from the front to the middle and back office. Research analysts – both from the buy side and sell side – are now some of the biggest users of indices as are risk managers. 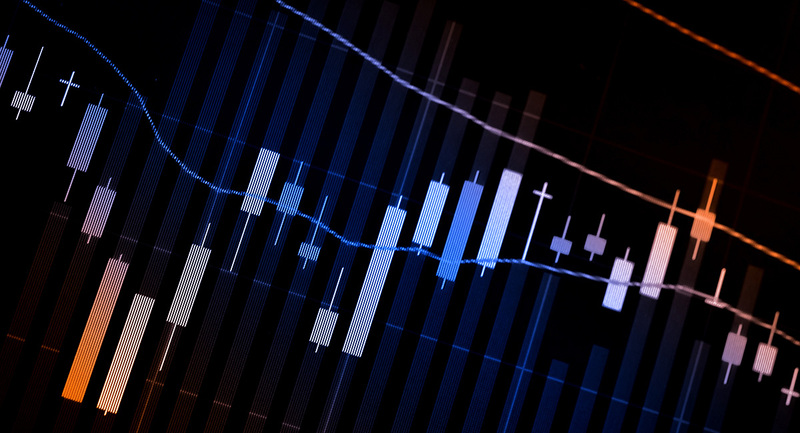 In order to perform quality analysis, formulate investment decisions and develop strategies, investors need the breadth and depth of high quality historical data that indices can provide. But where indices have become particularly prominent is their use as the underlying index for passive strategies. 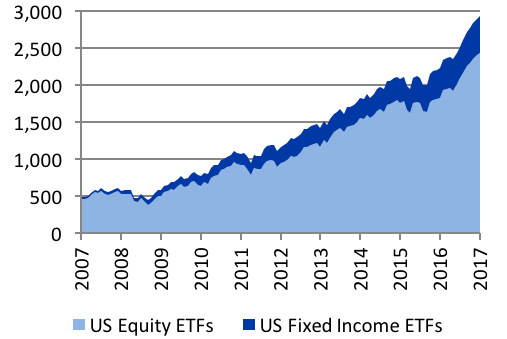 There has been a notable shift of assets into passive ETFs over the last 10 years. It is interesting that fixed income is keeping pace with equities despite the low interest rate environment. 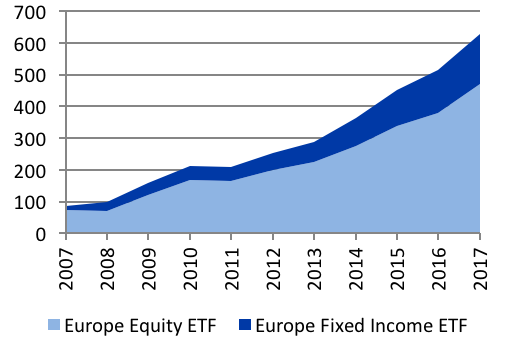 That is partly explained by the fact that fixed income ETFs still account for a very small percentage of total fixed income assets (less than 1% in Europe and less than 2% in the U.S.) and though the total allocation to fixed income may decline, as money moves from active to passive strategies, fixed income ETFs can continue to see growth. That is a view that was shared by many of the participants who attended our roundtable session. Many roundtable participants were also of the view that the type of smart beta strategies that have become common on the equity side will begin to gain traction in fixed income as well. These strategies require highly customized indices and some lean towards self-indexing while others will rely on the index providers. The main benefits cited for self-indexing were retention of the index IP and branding. Meanwhile those inclined to rely on third party providers find that it would be too expensive to support the infrastructure required to self-index, or they want to avoid the regulatory obligations that come with being the index administrator. The state of the indices industry is being shaped by the shift from active to passive investing, regulation, entry of new players, introduction of new products, and a clear pursuit of cost saving and increased efficiency. The industry will need to address market and regulatory changes and be willing to respond by developing new products and looking at various ways to innovate. Subscribe below to view the full commentary. The ICE Data Services Best Execution process was developed to meet the growing demand for tools that can be used to enhance execution quality analysis work streams and focus on meeting regulatory obligations. ICE Data Services' multi-asset class index solution supports all aspects of the benchmarking and performance measurement process. Our fixed income index offering includes over 4,800 standard indices tracking more than $68 trillion in debt spanning the global bond markets, with debt represented across 40 currencies.